Many argued that Watson was speaking out of turn, and that her approach was politically incorrect, too abrasive, too bossy, and not at all feminine. The manner in which she was depicted in the media – her harsh treatment at the hands (and pens) of pundits – was unrelenting, unflattering, and totally unprecedented. In an age where even Wikipedia has videos on how to be politically correct (you can see one here), we have become super-sensitized to every perceived slight and insult. I’m often called to explain the context of some of our posters, as they depict people of colour in ways that today would be both unthinkable and unacceptable. It’s important – crucial – to remember that posters are documents of social history: they remind us of products, ideas, and times long gone. They present us, in an instant, with a constrictive snapshot of how people thought and what they bought, and the manner in which they were directed to do both. I do not have very many posters that depict people of colour, but those that I do never fail to evoke some type of reaction, from people of colour as well as from folks from other ethnic backgrounds. 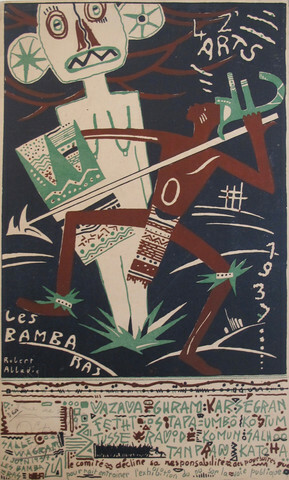 It’s important to remember that when Africa, the Caribbean and other areas were colonized, the products that were sent back from the colonies were thought of as exotic, rare and hard to find. 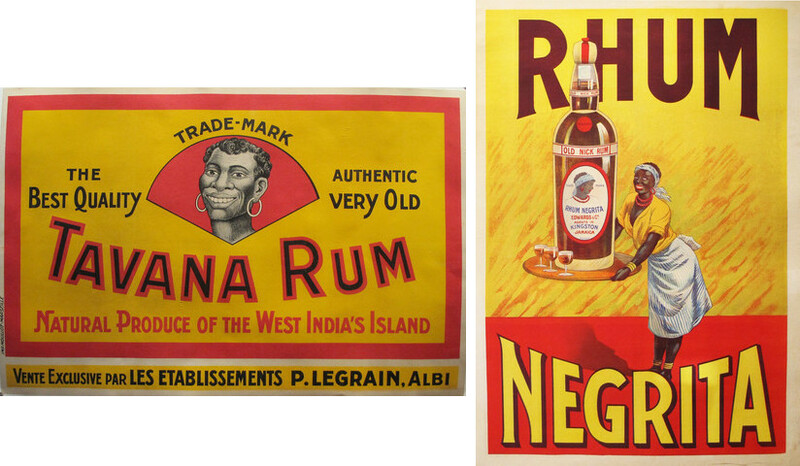 In advertising posters from the early 1900’s the inclusion of a dark-skinned ‘native’ was a visual code for a product – like rum, carpets, tobacco – that was imported from the colonies. 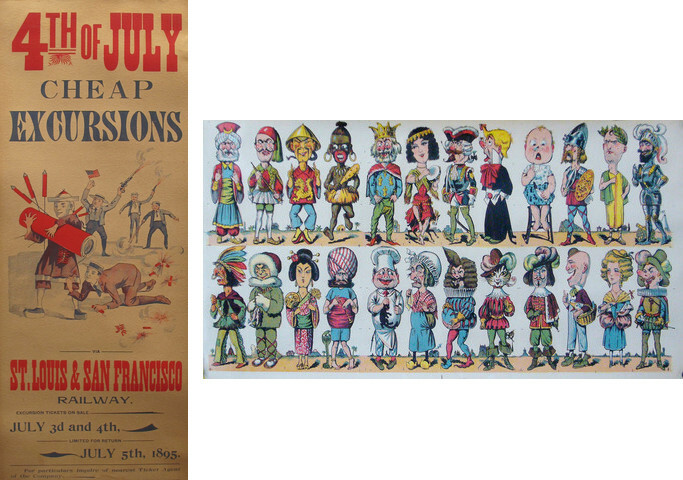 Today these posters, which depict folks with over-large hands and feet, subserviently offering their wares to the viewer are considered politically incorrect, but at the time there was nothing out of the ordinary about them. In fact, they were the norm. 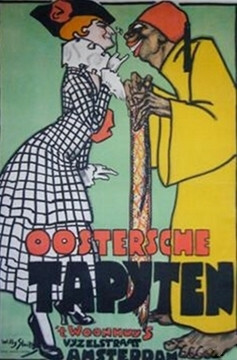 Whether it is archaic visions of Black people, or explosive references to the Asians who helped to build the millions of miles of railroads in the US and Canada, posters continue to provide a glimpse into a world before the concept of political correctness existed. Tina Fey and Amy Poehler’s arguments about patriarchy, and Emma Watson’s promotion of feminism are just and right. They are considered to be politically correct, newsworthy and of the moment. But its important to remember that 100 years ago, discussions, depictions and posters of people of colour, Asians, and yes, women, were – in the context of their time – just as correct.